Home Student News 2016-2017 Awards for Excellence! 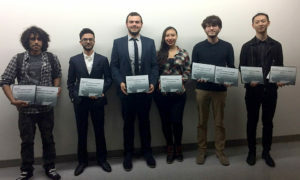 Awards are presented to only one Architecture/Landscape/Interiors student per each comprehensive design studio each year. 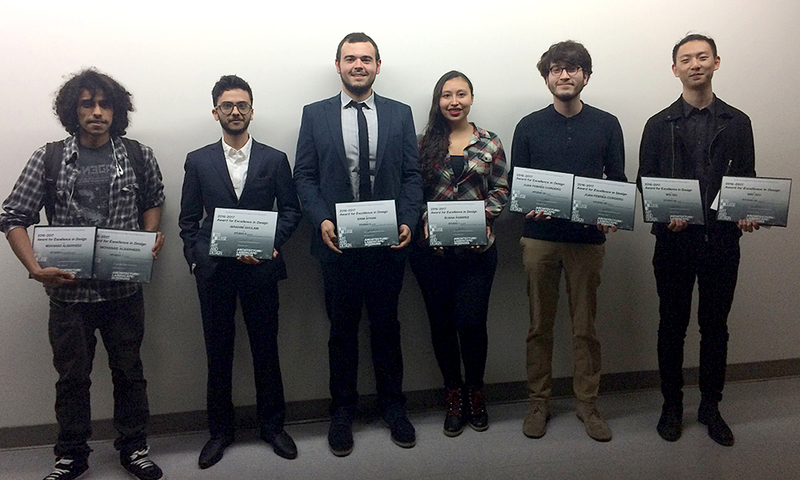 Design studio instructors were requested to select one student to receive the award based on: consistent presence, participation, and effort; development and use of skills; clarity and incorporation of concept; consistent design development; and clarity and scope of presentation. Each instructor chose their awardee independently, without knowledge of other instructors’ selections. Awards were presented by Instructors at the public opening of 2017 Annual Exhibition on Saturday, May 13, 2017. See several instructors’ remarks regarding their awardee selection below.